"The funny thing about rock bottom is there's stuff underneath it. You think, This is it: I'm at the bottom now. It's all uphill from here! Then you discover the escalator goes down one more floor to another level of bargain basement junk." In an age in which women are expected to be high achievers, thirty-six-year-old Sophie Stanton desperately wants to be a good widow--a graceful, composed, Jackie Kennedy kind of widow. Alas, Sophie is more of a Jack Daniels kind. Self-medicating with cartons of ice cream for breakfast, breaking down in the produce section at the supermarket, showing up to work in her bathrobe and bunny slippers--soon she's not only lost her husband, but her job, her house, and her waistline. 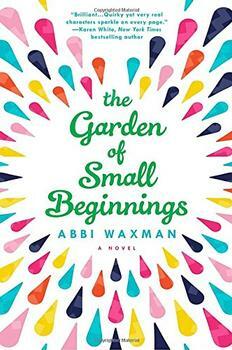 Desperate to reinvent her life, Sophie moves to Ashland, Oregon. But instead of the way women starting over are depicted in the movies--with heroines instantly being swept off their feet by Sam Shepard kinds of guys--Sophie finds herself in the middle of Lucy-and-Ethel madcap adventures with a darkly comic edge involving a thirteen-year-old with a fascination with fire and an alarmingly handsome actor who inspires a range of feelings she can't cope with--yet. How can I be a widow? Widows wear horn-rimmed glasses and cardigan sweaters that smell like mothballs and have crepe-paper skin and names like Gladys or Midge and meet with their other widow friends once a week to play pinochle. I'm only thirty-six. I just got used to the idea of being married, only test-drove the words my husband for three years: My husband and I, my husband and I...after all that time being single! Clearly everyone doesn't go through the grieving process in the same way and at the same speed. What does Sophie's experience tell us about grief? How do Sophie and Marion differ when it comes to grieving? What aspects of Sophie's grief can you relate to? Are we sometimes too quick to tell people to "get over it," and move on with their grief? How might we be more comforting to those who are struggling with grief? 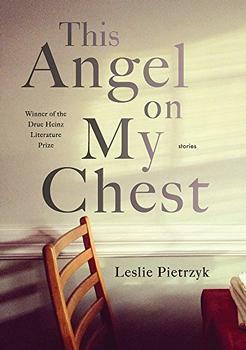 An enjoyable read, even though it did seem a little incredible that someone could go from the bottomless despair of grief to the heights of competence, and even happiness, in the timescale of the book (Reviewed by BookBrowse Review Team). Throughout this heartbreaking, gorgeous look at loss, Winston imbues her heroine and her narrative with the kind of grace, bitter humor and rapier-sharp realness that will dig deep into a reader's heart and refuse to let go. ..... this first novel is a rare treat. Sophie is self-deprecating, smart-alecky, insecure, and so lost in grief and despair that we become instantly involved in her situation. Her new life seems to bring more challenges, but she learns to face them with determination, humor, and the hope of finding some kind of meaning from the tragedy she has experienced. Highly recommended for all public libraries. The characters are frothy, the dialogue chipper, the introspection restricted. Death becomes just another hurdle on the way to self-betterment--along with weight-management and resume-padding. Are women this desperate? Effervescent, silly debut so eager to please that it reads like the speech of the candidate who won't open his mouth before the polls are consulted. I loved this book. It made me laugh out loud and I have shared it with all my friends and family. I think Lolly did a wonderful job and can't wait to read more of her work.